Film Plot: A heavily fictionalized version of the RMS Titanic story. Grade: C8-C9	Very Fine to Near Mint. 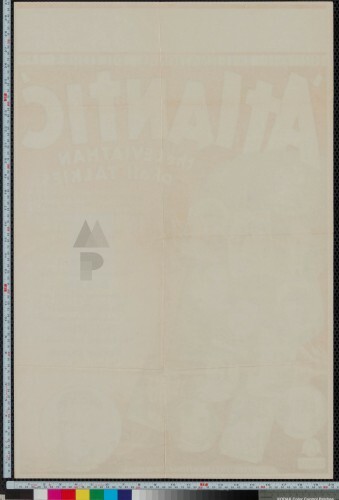 Folded, single-sided. Very minimal handling/edge wear, slight corner bend in lower right. The story of the Titanic has been told and retold countless times on the big screen — with the first film (Saved from the Titanic 1912) coming just 29 days after the disaster and with an actual survivor of the sinking as the star! Three more silent films would be released within a year and a half the disaster. 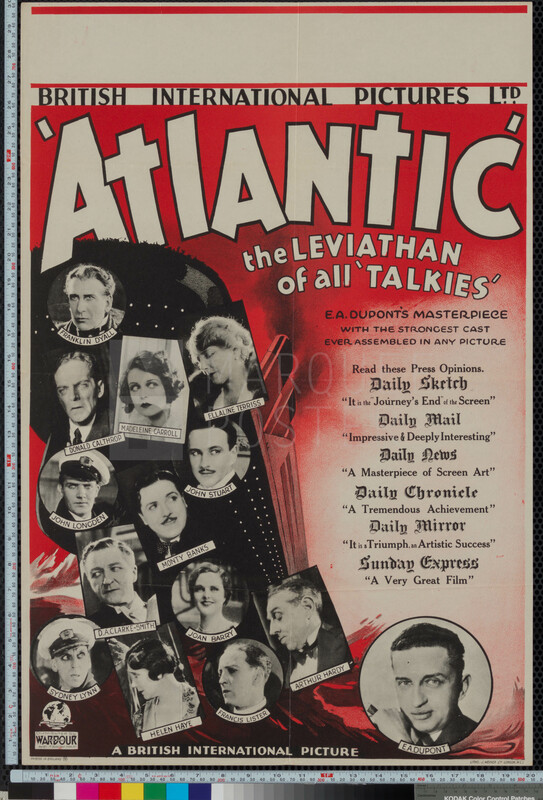 Atlantic (1929) was not only the first talkie to be made about the Titanic, but it was one of the earliest talkies in England and the first talkie in German. No expensive as spared on this impressive undertaking. Wanting to capitalize on different markets, the film was simultaneously shot in both English and German, with subsequent French and silent version also being produced. 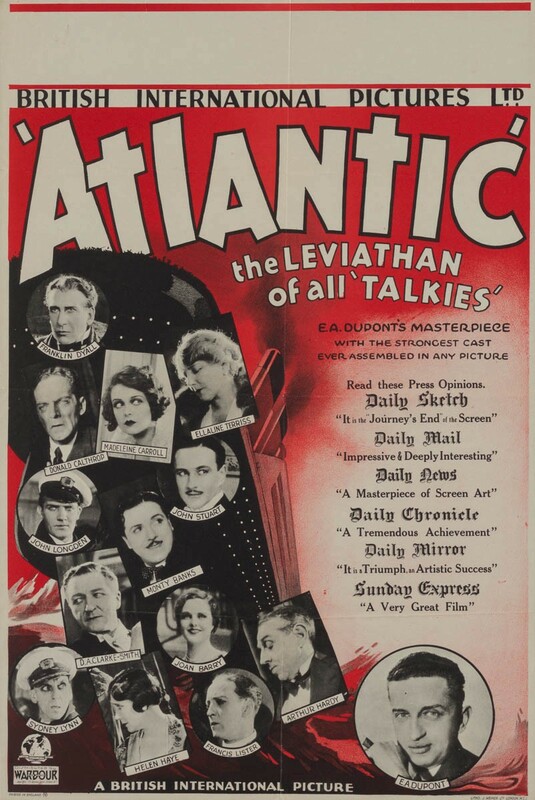 The film was a huge success and ushered in a new era of talking pictures to Europe. This rare, country-of-origin British double crown poster features a great shot of the ship and the principle cast.